Over the years, social media usage has become such a vital part of our daily lives. Now when was the last time I logged on to one of my social media profiles just to do a status update, tweet or upload photo? Hard to remember! Indeed I am using these platforms mostly to keep my presence as a professional felt; in short to keep myself in business! So I decided to explore online and search for that one-stop app to manage all my profiles at a button’s click. Enter Jarvee! I did find a lot of new kids on the block, few assisted in scheduling social media posts, while others talked about helping in social promotion, marketing etc. And then there was Jarvee which completely bowled me over with its features! The businessman in me started thinking on the lines of how I can use Jarvee for assisting in my job and to grow my business. After using it I found it worthy of the time and money I spent on it. So without much ado, let us jump into Jarvee's Review so you can make a decision of your own. I quickly installed the Jarvee software on my Windows PC to get things started. Jarvee helped me schedule all my social media updates on Facebook, Twitter, Google+, Instagram. Pinterest etc from one single dashboard. This helped me in saving precious time that I could use for offline promotions. Jarvee gets a big plus from me for that. Inside Jarvee, there are tabs like dashboard, social profiles, tools, settings, my account, destination lists, and campaigns. Using Jarvee, I can add below shown social profiles. Jarvee supports Instagram too! I can also use below show option for scheduling the posts. Based on the number of destinations, a post needs to be made. I can use options like standard, volume or scheduling for campaigns. A standard campaign on Jarvee alone can publish in ten destinations! Well we can even get history and reports on the posting of the content too. These additional features provided by Jarvee can help boost the marketing strategies of your business, irrespective of the products or services you are offering. As a businessman, it is important for me to reach out to my users at their convenience. It gives a sense of personal touch which I like and Jarvee helps there too. The essence of social media marketing is to not to keep broadcasting posts but to reach out to users at the right time thereby increasing the popularity of the business module. Jarvee works great on the scheduling front, by assisting in scheduling of updates at regular intervals as and when required. I noticed that Jarvee generated higher visibility for me through this feature. How does Jarvee work with each of the individual social media? Like I mentioned earlier, it is important to keep my customers engaged, which is more crucial than just broadcasting content. Jarvee is designed to function seamlessly with any of the popular social media which further enhanced my social media marketing experience. The Jarvee “Tools” tab provides a list of options like joiner, unjoiner, follow back, like, comment, follow, unfollow, retweet/repin based on the social media being used. Using Jarvee’s “Finder” and “Joiner” tool on, Facebook or Google+, I could search for groups, communities etc based on specific keywords. In social media marketing, it is vital for me to be part of the right set of groups, communities, individuals etc. So I checked on a few specific keywords like say “Digital marketing”, “Team building” etc and hey presto! Jarvee gave me quite a sizeable list. 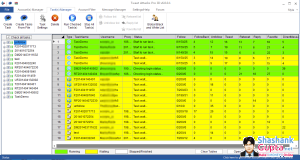 While using Jarvee I realized that it is necessary to set frequency limits on my search to prevent myself from being burdened by an additional task of deleting and ignoring groups, communities etc which are irrelevant. Considering the fact that presently more than 90% of B2B reach out is done on Twitter, Jarvee saved me an extra effort of getting on to it each time and allowed me to schedule a broadcast for Twitter on Jarvee, similar to how I did for Facebook, Google+ etc. Similarly, using the Pinterest “Like” tool on Jarvee, I searched “pins” based on keywords. I clicked on the option “More Tools” or the marker directly under the “Like” category and it led to a page where I specified keywords, the frequency of “Likes” etc. For LinkedIn, the Jarvee provides the “Profile viewer” tool which tells who checked on my profile and when! No complaints on that, Jarvee was making me popular! Jarvee is one of the best tools on the block for Instagram hands down. 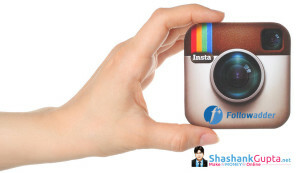 It is full of useful features, which will enable you to grow your Instagram followers from 100's to 1000's with ease. Jarvee can do it all for you; follow, unfollow, comment, like and so on….to grow your profile in a quick and efficient manner. 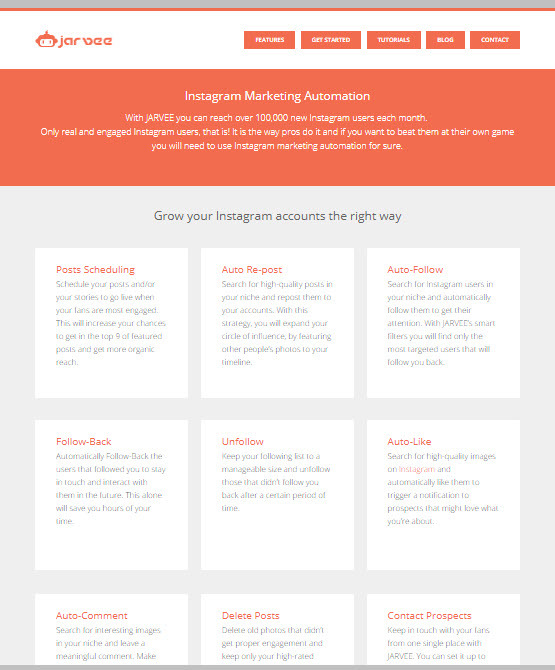 Have a look below to see for yourself the numerous features Jarvee offers for Instagram. My favorite feature when reviewing Jarvee was that Jarvee does not complain about the number of accounts being added and also allows the addition of multiple accounts for a single media. For instance, Jarvee allowed me to add multiple Facebook pages on to it. My customer base swelled considerably, thanks to this feature of the Jarvee. The browser button on Jarvee gives live streaming of all social media profiles. Click here to get 5 days FREE Trial of Jarvee software. 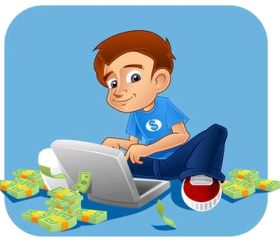 A Jarvee monthly license costs $19.95 which allows a total of 10 social accounts to be added. You can scale up to 70 accounts on Jarvee for $49.95 only! Making Jarvee one of the cheapest tools on the block! Jarvee is good organizer software for managing various social media profiles. Jarvee helps in reducing time and effort spent in broadcasting online. It helps in increasing the customer base by assisting in scheduling broadcasts and reaching out to the right set of customers, at the right time. The feature of adding multiple accounts on Jarvee is highly beneficial for businessmen and social media consultants alike. Jarvee’s campaign feature offers various options to upload a post. There's also an Instagram edition as well with all the Instagram related modules enabled. Jarvee should also integrate individual Facebook profile scraping based on filters and sending a friend request. Jarvee requires downloading, which can be a hassle if you like to keep your computer free of software clutter. Jarvee proves to a world-class product in acting like that one “all work and no talk” kind of assistant that everyone needs in the real world. An excellent organizer which gets addictive thanks to its easy to use features! Promoting your business easily by staying connected to the virtual world around you is what marketing entails these days and Jarvee offers you a convenient way of doing it.